Its cost is double or triple than other hair conditioners. It is based on sunflower seed oil and silk. Was created for damaged hair, but is suitable for all hair types. Can we say that Tigi S-Factor “Serious” Conditioner with Sunflower Seed Oil is the conditioning success? Exceptional and effective hair care starts at the source. 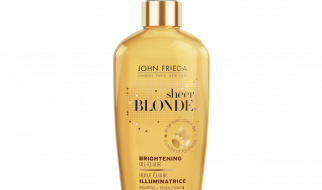 Nourished and strengthen (thanks to Tigi S-Factor) hair bulbs always produce stronger and more beautiful hair. Their growth and condition depend on whether you implement right hair care methods. How does it relate to sunflower seed oil? As it turns out greatly. Hair conditioner “Serious” Tigi S-Factor is in fact intense hair mask based on two ingredients. First is sunflower seed oil with great hydrating, nourishing, elasticity providing, strengthening or even protective properties. The second one is silk, that ensures hair with smoother, makes combing easier and protects sensitive hair ends. 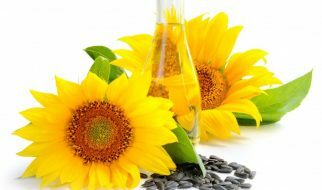 As it turns out, just sunflower seed oil with few additions can restore damaged and weak hair with health. What is characteristic about the hair conditioner? It is easy to find it among other products. Tigi S-Factor is a brand that implements simple yet standing out packagings. Hair conditioner with sunflower seed oil and silk is available in large jars with 750 ml/25.4 oz volume. Squat jar made of white plastic and decorated only with brand’s logo (pink S) and simple writing: “Serious” Conditioner looks interesting. Product is recommended for professional hair care. Pure sunflower seed oil can be applied on hair few ways. However with conditioner it is a bit different. You must stick to the strict directions, so that Tigi S-Factor “Serious” Conditioner with Sunflower Seed Oil is able to provided the best results. 1. Wash and towel dry hair. 2. Portion of pink conditioner apply on hair. 3. Spread it thoroughly on the entire hair length. 5. Rinse it and dry hair.